The Sharavathi Wildlife Sanctuary is located on the Sharavathi river basin of the Western Ghats in the state of Karnataka. Spanning within an area of 431.23 square kilometers, it encompasses dense evergreen and semi-evergreen forests. In the year 1972, a part of the Sharavathi river basin was declared a protected sanctuary by the Karnataka government. Since then, it has a major part of land dedicated towards boosting forest cover and tourism. There are about 40 small villages within the sanctuary with a mere double digit population in each. These villages also collaborate in maintenance and upkeep of the forest. Sharavathi Wildlife Sanctuary is home to many exotic species of animals including the lion-tail Macaque and big cats of various families that thrive within the area and are nourished by rich monsoons with regular river flow. The Sanctuary is open to tourists all year long and sustains a reasonable amount of tourism from wildlife enthusiasts and biologists. The climate of Sharavathi Wildlife Sanctuary is mostly pleasant with temperatures ranging between 11 to 38 degree celcius depending on the time of year and ground elevation in different areas. It is warmer in the foothills and plain area than the plateau, which is higher in altitude. The monsoon months between June and September receive heavy rainfall along with high wind speeds and raised water levels. The climate is hotter during the months of March, April and May. Except the monsoon, the climate throughout the year is pleasant. The winters are generally cold and are ideal for visiting as there is low chance of rains and heat. The summer months also make it possible to enter terrains that are hard to reach during the monsoon. One can come across a variety of wild animals including Lion-tailed Macaque and Sloth Bear during this period. The monsoon erodes most of the top soil, making it difficult for new vegetation to flourish immediately and animals usually take shelter during this time, making them difficult to spot. Leopard, tiger, jackal, wild dog, spotted deer, sloth bear, barking deer, sambar, wild pig, mouse deer, bonnet macaque, common langur, giant flying squirrel, Malabar giant squirrel, otter, pangolin and porcupine. Python, king cobra, crocodile, rat snake and monitor lizard. Paradise flycatcher, three species of hornbill, racket-tailed drongo, lorikeets and Indian lories . Reaching the sanctuary via air can be a hassled job with the nearest airport being located in Mangalore, which is 216 km from the destination. The flights connect to all major cities including delhi, Bangalore and Chandigarh. The nearest railway station is located in Shimoga, which is a considerably small distance away from the sanctuary. It would take about two hours at max for one to reach the sanctuary. 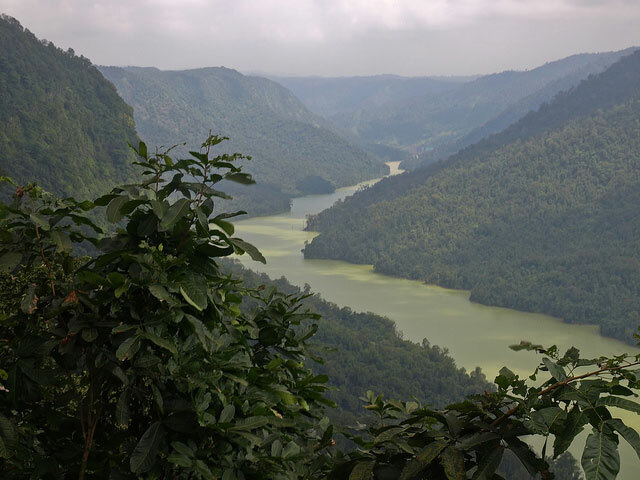 Sharavathi valley is easily accessible by road as it lies between NH 50 and route 206. The nearest resort to the sanctuary is Sharavathi Adventure Camp. The camp is located 6 kilometers from Jog falls, overlooking the lush greenery and dense forest. The lodge comprises of several well conditioned rooms that are suitable for family vacations and shoe-string budget travelling.